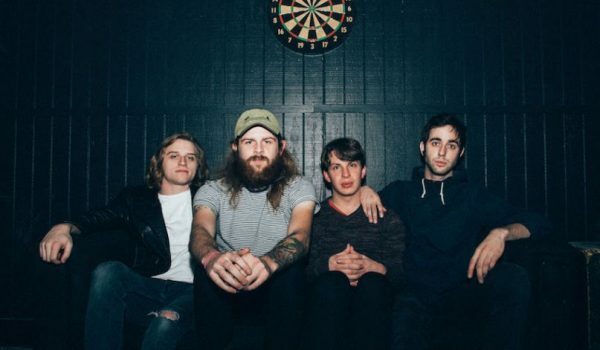 Sorority Noise Talks On Mental Health Awareness And Using Music As An Outlet – Spotlight Report "The Best Entertainment Website in Oz"
All the way from Hartford, Connecticut, rock band Sorority Noise have been the talk of the town. 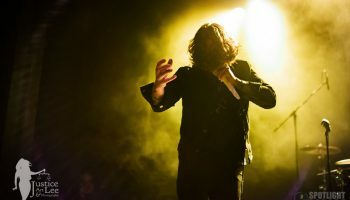 With their emotionally-driven songs and desire to make a positive impact on their audience, there’s nothing but glowing things to say about such a young and ambitious band. 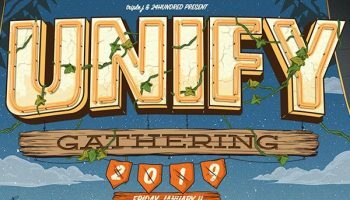 With the release of their third-full length album, You’re Not As ____ As You Think including powerful numbers such as “No Halo” and “A Better Sun”, the progression the four-piece have achieved in the last few years has been incredible. 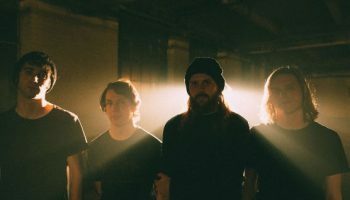 Compared to their previous titles Joy, Departed and Forgettable, Sorority Noise have taken creative risks in their latest album, further developing their lyrical content while also building up the determination to take on any opportunity that comes their way. 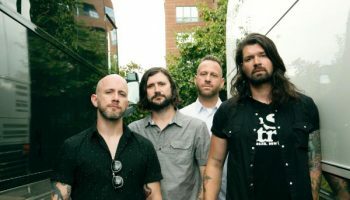 Ahead of their upcoming Australian tour, guitarist Adam Ackerman took the time to answer some questions for us, digging deeper on topics such as mental health, driving the success for their third full-length, and what it was like working with respected producer Mike Sapone who has worked with stellar bands such as Brand New and Taking Back Sunday. You’ll be heading to Australia in a couple of months time. How do you feel about touring here? I’m really excited! I’ve heard nothing but good things about Australia, and I’ve always wanted to go there! It’s always an incredible experience playing somewhere new. I have family that lived in Australia as well. An Australian friend said I’ll like it so much that I won’t want to come home, so I’m really looking forward to it! In March this year, you released your third full-length album You’re Not As ____ As You Think. Now that you’ve been playing some songs from that album, how have the audience been reacting to the new material live? The reaction has been extraordinary! We were touring so hard on the older songs that we didn’t know how people would react to the new stuff, but a lot of people are singing along and seem into it, which is great! The album itself is quite personal and I like how you touch on themes of loss, mental illness, and suicide. Was this a challenge itself – tapping into these subjects that are seen as confronting to people? While it is really difficult to talk about the loss of friends and struggles with mental health, it still happens and there’s no reason to stay quiet about it. We’ve all experienced these parts of life in one regard or another. Having an outlet to express how we feel about these experiences is vital for us. Music is a cathartic experience that I can’t even function without at this point, and the fact that my vehicle of expression can be created with people I care about is really empowering for me. I guess the whole point for us is that everyone deals with these things, and no one should deal with them alone. So yeah, it is a challenge, but it has to be given the attention it deserves so life can continue moving forward. I think one of the most stand out tracks off the record – besides “No Halo” was “A Portrait Of”. The lyrics were hard-hitting and the instrumentation brought such magnificent depth. In those moments of struggle, do you find that writing lyrics provide solace for you? Absolutely! I didn’t write any of the lyrics for this band, so I can’t speak to the specifics of the lyrics on our record. However, I do find that writing lyrics for me are a great way to organise my thoughts and helps me navigate tough mental/emotional states. I’m very particular about writing lyrics, and I can spend months focusing on one line trying to make sure it’s exactly what I want to say and that it’s honest. That makes me revisit personal experiences time and time again from as many perspectives as I can, which is helpful for me to grow as a person. However, Cameron [Boucher, guitar/vocals] taught me a while ago that sometimes, you just need to say what’s on your mind and let that raw emotion do what it needs to do. That type of catharsis is really important when I’m struggling with something. That aspect of songwriting is also great to reflect on when I’m struggling because it really freezes a moment of time in my life that I can see how I’ve changed or reminded myself of things I may have lost sight of. Compared to your last few releases (Joy, Departed & Forgettable), how has You’re Not As ____ As You shaped you as a band? We all have a lot more stock in this record because we’ve all worked really hard to make this record. We also understand the amazing opportunity we have getting to tour and work with other artists we respect and our amazing team of professionals that keep this whole thing going, so we try our best to take every aspect of this band seriously. We haven’t been taking anything for granted. We really believe in the music we make, so we’ve also been taking more steps to ensure the longevity of this band. It’s about balancing life at home with life on the road, which is not easy, but we try to be more conscious of it and take care of one another. You worked with producer Mike Sapone on this record, who has worked with bands like Brand New and Taking Back Sunday. What did he bring to the table no other producer has done for you guys? Mike was amazing to work with. We were a little apprehensive about working with a producer, but he understood how important this music is to all of us and the level of sensitivity that it takes to contribute to it, which I don’t know if anyone else could’ve done as well as him. He would know when and how to push us to create great moments in the music, but he also knew when to take a back seat and let us do what we needed to do because, at the end of the day, we’re the ones that have to play the songs. He also knew how to make an environment where we all felt comfortable pushing our limits. Even something as simple as him lighting incense every day was a great way to walk into the studio and keep us in the mindset of “Ok. We’re here to record. Let’s go for it.” We became friends really quickly with him, and we couldn’t be happier with what he brought to the table. We’ve also been huge fans of his work for years now, and records he worked on have been very formative for all of us as musicians and as people, so it was an honour to get to work with him. I like how instead of rushing the production process, you guys took longer than usual to record this album compared to Joy, Departed. Would you say there was a driving force felt when it came to recording these songs that motivated you to refine them until you were happy? We all had something we wanted to say on this record, so we all worked really hard to bring this record to life. The songs on Joy, Departed were literally put together in one day. Charlie [Singer, drums] didn’t know he was in the band, Ryan [McKenna, bass/vocals] thought he was just showing up to rehearse old material, drums were tracked the next day, so we just did the best we could with the time we had and made a record we’re really proud of. After touring for a year, I think we all learned our roles inside and out and how to play to our strengths and complement one another as a band. Once we knew how to navigate each other’s’ musical characters, we wanted to use that knowledge to focus all of our energy in the same direction. Having the time to actually rehearse and refine the new songs was new to us, but I think we utilised that time well and worked really hard over those days. That time also allowed us to take more risks and go outside of our comfort zone. I think it made for a better record in the long run. Be sure to check out Sorority Noise on the dates below!